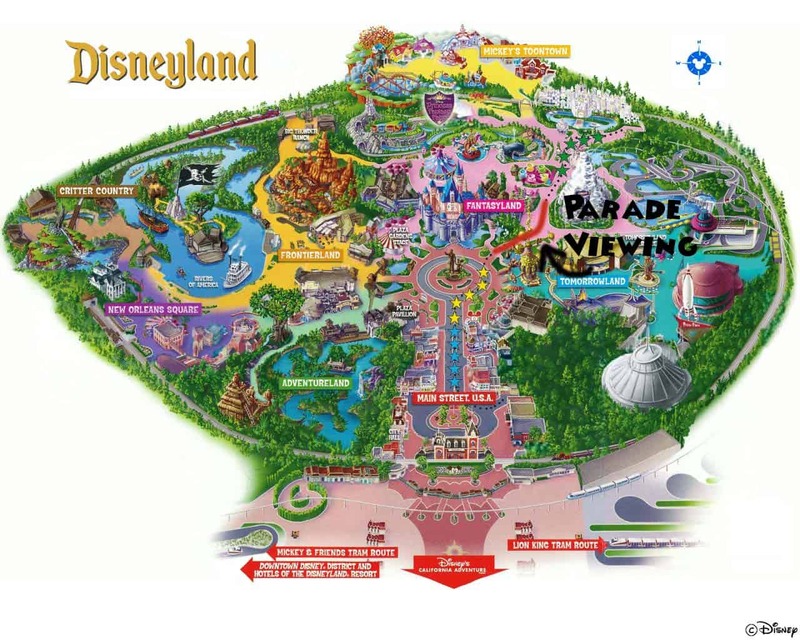 Disneyland Planning Guide - Tips and Tricks for making your Day Magical! Disneyland Planning Guide – Tips and Tricks for Making your Day Magical! I originally posted my Tips and Tricks for Disneyland in 2012 in our Insiders Guide to Disneyland. We have annual passes again this year and we have updated insider information. Even if you have read our tips before I have added a lot of information! So get ready, I am not holding back any of our secrets here. Even this week when the lines have been packed we have made it on 6-8 rides within the first 2 hours. These are not platitudes I’m giving here, these are actual specific things that will help you get the most of your day. With a little planning you can take a good day and make it magical! If you can, go on the day they allow people with the pass to go. Statistically it has the lowest attendance. I would NEVER go in the summer. It is a waste of your money. I always take my kids out of school for a couple of days and we get the entire park done in a day. People in the summer can buy a 5 day pass and not come close to doing what we can do in those two days when the attendance is low. Plus think of all the money you save on food and hotels by going for less time. 3 days is by far enough if you go on the off days. Spend 1 whole day in Disneyland, 1 whole day in California Adventures, and then on the third day hit anything you haven’t hit yet or go back to your favorite rides. Thursdays and Fridays are more crowded than Monday, Tuesday, and Wednesday. This is the number 1 thing you can do to make the best of your day. If the park opens at 9:00, be pulling in no later than 8:15! It takes time to park, ride the tram, and get through the front gates. They open the gates before the park opens and block the crowd off at the end of Main Street. It’s a great time to explore Main Street while not using ride time. You can take pictures, browse the shops, and I have even seen some characters out signing autographs before the park officially opens. One of us usually saves our place near the front of the crowd while the other takes the kids potty 10 minutes before it opens. There is nothing worse than having to take a potty break 20 minutes into your first line! When they open the park you are already in the middle of Disneyland ready to roll! This is the best time to get on rides for the entire day. I get it, sometimes things happen to make you late. If you get to Main Street and the crowds are already half way down Main Street all is not lost! On the right side past the fruit stands you can enter the store and each store connects to the previous store. That means you can cut through the stores and then come out at the end and be ahead of all those people. This is a last minute save and is not near as good as getting there first. You are still behind a lot of the crowd so don’t count on this as your first choice. Check Magic Mornings and show schedule before you decide which park to start in! Magic Mornings are days that they allow the hotel guests to get in the park early. They switch back and forth between Disneyland and California Adventures. For example yesterday was a Magic Morning for Disneyland so we planned to be in California adventures. Its is so frustrating to get there early and on time only to realize that there are already a ton of people in the park! I know many people get hopper passes but I think they waste a lot of time. It is about an hour of walking (at least) to get from one ride in Disneyland to a ride in CA Adventures. It wastes time and wears you out! Also check the schedule for the Aladdin show in CA Adventures or Fantasmic in Disneyland. These shows only play on certain days so you don’t want to miss them by being in the other park. The Aladdin show is spectacular and worth your time. Plus its a great way to take a break and rest. Our favorite place to park is the Disney and friends Parking structure. Its a huge parking garage! I feel it is the most convenient and easiest. Again get there early! Stay in the left two lanes. Usually (but not always) those two lanes will go left after the booths where you pay. That means you get to park in either Pinocchio or Chip and Dale. Those sections are on the ground floor which means you don’t end up on those huge escalators behind a lot of people. It is also the best for exiting at the end of the day. By about 8:45 the right 4 lanes (if not all of the lanes) are being sent upstairs. Pick a priority ride with no fast past to go on first! When our kids were younger our family always hit Peter Pan and Casey Junior first. Peter Pan always has a huge line but its totally cute and worth doing! It was always our first ride to hit. Casey Jr only has one train and the line is slow so we hit that second. If you have the chance to do the Magic Mornings, do Peter Pan first! Now that our kids are older we choose Space Mountain. Its another line that gets long fast and usually stays long all day long. We usually get in line at Space Mountain plus fast pass it. That way we can do it twice with very minimal wait. If we are going to California Adventures we hit Toy Story Mania first. This is a little more complicated because of Radiator Springs now. I usually run and fast pass Radiator Springs to get fast passes. Meanwhile my husband waits at the front where they have blocked the crowd. When they open the park he goes straight to Toy Story mania while I get the fast passes. Then I run down to meet them and we usually do Toy Story a second time. If you get there early you can get this all done very fast. But be aware that if you are some of the 1st in the fast pass line you will have an early fast pass. Sometimes I purposefully wait a few minutes so that we have a little more time down by Toy Story Mania and CA Screaming before we have to head up to Cars Land. As of May 2014 a fast pass for Radiator Springs did not count against you. Meaning you can fast pass Radiator Springs and then a seocnd ride at the same time. You can have 1 fast pass at a time. (With the exception of World of Color and Radiator Springs in California Adventures. Radiator Springs Fast passes are distributed by Bugs Life land. World of Color fast passes are distributed at the Grizzly River Run fast pass machines. After the World of Color fast passes are distributed the fast pass machines are converted back to Grizzly River Run.) Fast passes allow you to use a shortcut in the line for that specific ride. Not all rides have fast passes, but most major rides do. To get a fast pass you scan your ticket outside of the ride and it gives you a pass with a time listed on it. That time is when your fast pass is valid for that ride. They only give so many out for each hour, so as the day goes on the time to return gets later depending on how many people are fast passing that ride. Not everyone has to be there to get a fast pass, but every ticket has to be checked into the park. For example I cant go early in the morning by myself with 5 tickets and get fast passes. The ticket has to be scanned in at the front gate to get a fast pass. But one person can take all the tickets to get fast passes. My husband and I take turns running and fast passing rides while the other waits in line with our kids. This way we are not wearing our kids out as much. What a lot of people don’t know is that as soon as your fast pass is valid you can get a new one. For example if your fast pass is good from 12:20-1:20 you can get a new fast pass at 12:21. Plan ahead and figure out which rides are most important for you and fast pass those. Good rides to fast pass are Star Tours, Indian Jones, and Splash Mountain. Those passes really put you ahead of the line. Thunder Mountain and Autopia’s lines move pretty fast, so fast passes are good, but not as necessary. Make your phone last the entire day! With smart phones its great to have your phone and camera in one but the battery can be a huge issue, especially if you have an iphone. I know there are compact portable chargers you can take with you but I have never invested in one and have made my phone last all day. Here is how! First turn your wifi off when you get there. If you want to do something that requires wifi just turn it back on, do it, and then turn the wifi back off. This way your phone isn’t constantly trying to connect to a network. Also turn your brightness down too because that can be one of the biggest drains on your battery. Make sure all your programs are closed. I always bring my phone charger too just in case. I have yet to find a great spot in Disneyland to charge but I have found two great spots in CA Adventures. The first is in the waiting area for Turtle talk with Crush (a must see in my opinion). They have a big room you wait in and there are lots of plugs. I just juice my phone up a little while we wait. Just don’t try to plug it in inside the show room- it makes the workers very cranky! The other place is along the parade route in front of the World of color viewing area. They have green poles that have plugs on them. Most of those plugs will work in the yellow block. When you get farther down by Goofy’s flight school the outlets don’t work. There are a lot of apps that will show you how long the wait is at certain attractions. They seem to be fairly accurate. I use Disneyland Wait Times – free. If my kids really want to go back to a ride and its on the other side of the park I can check if its worth going that way. You can also utilize these to check different times of the year you are thinking of going to the park. Wait for attractions right after the first showing! If you want to see Fantasmic, show up when the first show is ending. As people move out you can move in and get a perfect seat! On really busy days this can be a good idea for the Jedi Training Academy too. If you want to see Aladdin get there about 40 minutes early. To increase your chances of being picked for the Jedi Academy wear something Star Wars and sit in the front of the box. They choose all along the entire front. I actually don’t think the very center is the best. We tend to sit about 1/3 of the way from the center to the end. Do sit in the very front! There are obviously no guarantees but I know this helps. Eat lunch or dinner while waiting for the Parade or Fantasmic. You can bring a tray from any restaurant with you and set it on any trash can in the park and they will return it to the correct restaurant for you! One of us usually waits in a good spot while the other gets the food and then we have a picnic! The best place in my opinion to sit for the parade is the little strip that runs between the Matterhorn and the Castle. What I love about this area is that you have front row seats and no one can stand behind you, so when the parade comes by they look right at you and you get the full show without worrying too much about other people. Be ready to defend your spot though! People will keep trying to squeeze in! This spot is also great because some lines in Fantasyland are closed during the parade and when the parade gets past you, you can jump right into line and not have to wait! Try to plan ahead, so you don’t jump all over the park, rather work your way thought the park. Finish one section of the park and then use the train to get to the other side of the park and start on that side! The train and monorail are different! The train is an actual steam engine train that has 4 stations – Main Street, New Orleans Square (near the Haunted Mansion), Toontown Depot (next to Small World), and Tomorrowland Station (behind Autopia). It’s nice to sit and its interesting to see parts of the park that you can only see on the train. You can get on and off at any of the 4 stations. Most days the line is minimal and trains come every 5 minutes. We have gone between California Adventures and Disneyland on the same day but it wastes a huge amount of time. If you are going for multiple days, plan a day in Disneyland and then another day in California Adventures. You will be able to see more and you won’t be so worn out! Even with doing these tricks I guarantee you will walk more than you have a long time! This is not the day to go for the cute shoes! Wear your running shoes. They may not look the best but you wont be miserable by 3:00 that afternoon either! If you have kids that are too short for certain rides you can take turns without all the waiting. How it works – the whole family has to go to the line entrance. Find a Disney worker and ask them for a child swap pass. One parent and any kids that are tall enough to ride then wait in line normally, while the other parent stays out of line with the children that are too short to ride. The second parent then can use the child swap pass anytime that day to go through the exit or the fast pass line (depends on the ride) and not have to wait in the whole line. It is good for two people, so you can take another child back with you. For example, our 8 year old can ride the ride with me (we stand in the line normally) and then when my husband goes to ride, the pass will get him and our 8 year old back on. We find this really handy when we can’t get a fast pass. If you have fast passes, it’s pretty much the same thing since both parents can use the fast pass line. But if you can’t get a fast pass and are going to wait in the whole line – take advantage of this for sure! Use the single rider line. Many rides have a single rider line – Splash Mountain, Indiana Jones Adventure, Grizzly River Run, Soaring’ Over California, California Screamin’, & Goofy’s Sky School. Usually there is a sign directing you, or you enter through the exit. When a single space opens up they put you into that spot. This means you can take turns if the line is so long that you don’t want to wait. You just won’t get to sit together, but it’s worth it on a busy day! • We freeze a water bottles and let them melt. As the day goes on we just keep filling the melted space up at water fountains. This way we have cold water all day without too much weight to carry and without spending tons of money on water. Stay hydrated! You will feel better and have more energy. You can request free water at any restaurant but that means one more line to wait in. Now that we don’t take a stroller we usually don’t even take water, we just drink out of fountains. • A deck of cards for times when you are waiting for parades or shows. Its light and will keep you busy and make the waiting time go faster! Don’t forget eye spy can be a great ride waiting game! We also use the maps to play eye spy on. • A cheap tube of glow sticks. Trust me you will thank me for this one! When it gets dark Disneyland has such fun light up toys for so much $$$. We pack our own tube and our kids are happy! We usually find them at the craft store in the dollar section, but you can buy lots of them online . • Sunglasses, sunscreen, and chapstick! • Headache medicine. Heat, dehydration, walking all day, the motion of the rides – it’s a headache waiting to happen! Not only do I pack it, I usually take 2 Excedrin on the way to prevent a headache. My hubby takes a non-drowsy motion sickness pills too, so he can enjoy the rides more. • If you are taking a stroller pack it light! Our favorite is an umbrella stroller with a basket. Don’t underestimate the power of piggybacks while in the park for little ones. • Autograph book and Pen . There are some great tutorials out there on how to make your own! Save souvenirs for the end of the day! There is nothing worse than having to haul around toys that kids are sick of carrying. To keep our spending in check we allow our kids 1 souvenir. They look all day long and then at the end of the day we purchase it as we are leaving at the Emporium. The Emporium is a giant Disney store located at the end of Main Street. It has most of the items that are available all over the park, but you buy them on your way out and you only have to carry it to the car! If you want a specialty item ask the store clerk if the Emporium carries it, so you know ahead of time. The Emporium stays open later than the rides so you can shop after the rides are closed. Saving their toy until the end also helps them in that cracnky tired mood as you make your way back to the car. Don’t let anything spoil your day! You have planned this trip and spent so much thought on picking the perfect date only to show up and see 50 middle school busses full of kids 🙁 Bummer. This has happened to me and I let it ruin my day. Don’t – you will regret it! You may not get on every ride, but you can still have fun! Fun things to do on really packed days – Ride the Double Decker bus around Main Street, Mark Twain Ferry Boat, Play tag on Pirates Island or play Hide and Go seek in Toon Town (play on teams so kids are not unsupervised), Ride the train around the whole park, Ride the monorail and wait to sit in the very front, get great seats for parades or shows, look for hidden Mickey’s, play in the water in Bugs Life Land, Tarzans Tree House, King Arthur’s Carousel, and the Tiki Room. Whatever you do – have fun! Let the stress go and just roll with the day! I cannot tell you how many parents I have seen yelling at their kids and being grumpy! What a waste of money! Don’t forget you are taking this vacation for your family and to have fun! Most of us go to Disneyland for our kids. Don’t forget about them! Make their day special and go with their flow and do what’s important to them. We have a rule in our house – you have to try every ride one time. If they don’t like it, then they don’t have to do it again. Make sure you make the day fun! I love being the coolest Mom at Disneyland! We tell jokes and my kids for one day have my undivided attention. I play like I’m a kid again and it does so much for my relationship with my kids. Don’t forget why you wanted to take the trip! You can read through our Questions and Answers post for a lot more specific information. If there is a question that you did not see answered here you can write to me at lisa@overthebigmoon.com. I don’t have information on hotels since we get to stay with Grandpa when we visit. Fantasyland Guide: Ride by Ride! Frontierland & Critter Country – Ride by Ride! Adventureland and New Orleans Square – Ride by Ride! 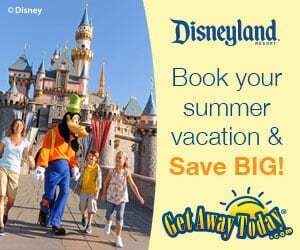 If you are looking for a way to save some money on your next vacation be sure to check out Get Away Today for some HUGE savings! I haven’t. The most popular one is in the Hotel and we haven’t wanted to take time out to go over for them. On a day off would be great. I have done the World of Color Dining experience and thought it was awesome. Amazing Info! So many things I never would’ve thought about. Thank you thank you! I found out another tip on our last visit. We wanted to ride in the front of the monorail and waited to get on at the station in Downtown Disney. big mistake. 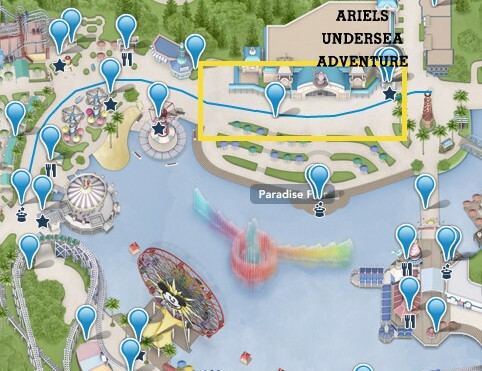 When you get on at the station near Finding Nemo you can ride it all the way back there so the people in the front do NOT have to get off at the Downtown Disney station. We waited for the front about 5 times before we gave up and just got on. If you do get the front by some slim change at Downtown Disney , everyone needs to exit at the station by Nemo no matter what. So its better to get on there, nicely ask for a front spot and you get a round trip ride. BEST tips ever! Surprising my daughter on 4/3 with a mother/daughter trip before she gets pregnant! 🙂 Thank you! This is great timing! Planning our trip and this is great info! I want to go back so bad! Thanks for the tips! I have already learned so much from you girls!